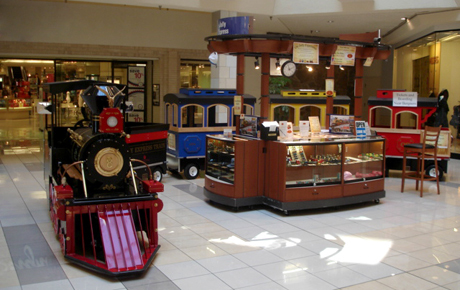 Enjoy a scenic train ride when you use this deal for 53% off five train rides from the Jolly Express, located in CherryVale, Janesville and Ford City malls ($15 value). This one-of-a-kind train is filled with fun for the young and the young at heart. The Jolly Express offers a unique, entertaining and affordable trackless train ride for the entire family. While children are enjoying a ride around the mall, parents get a chance to catch their breath and bond with their kids. Along with this charming ride, Jolly Express also has a small souvenir shop filled with items to help you remember your fun day out. Thrill your kids with this locomotive deal.